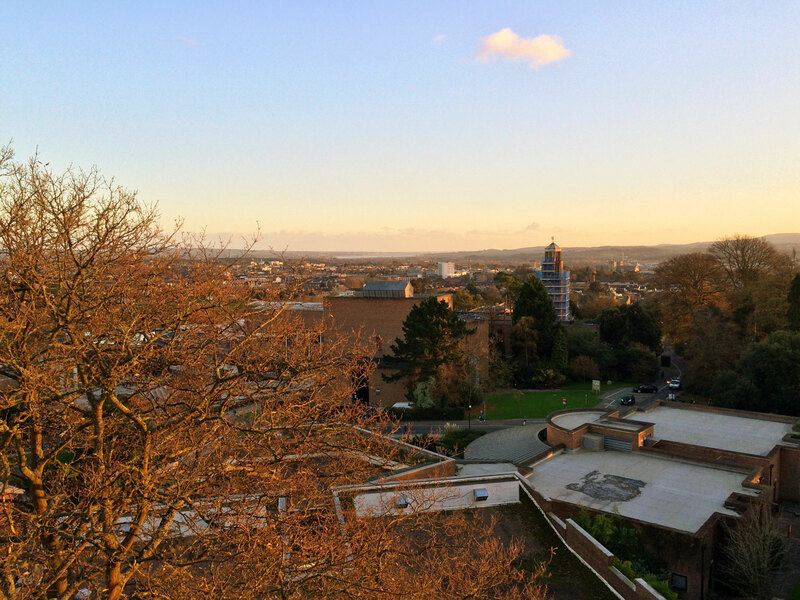 A shot of Exeter from the computer lab in the Physics building last autumn. You’ve just finished your A-levels, you say? Well done, I think you’ve earned a break so go on and enjoy it. However, I wouldn’t mind guessing that at some point in the next couple of months you’re going to get a little bit bored and might even start looking for something to do. If you’re kicking off a physics degree this autumn, especially at the University of Exeter, I have a set of top tips you could follow if you want to get the edge on your degree. As with any branch of science where you need to consider the dynamics of a system, or how it changes over time, being fluent in the language of differential and integral calculus will allow you to easily manipulate equations that change over both time and space. Differential calculus, or differentiation, allows you to easily find out the rate at which a given function is changing, allowing you to calculate the velocity and acceleration of a system, given a function that expresses its position at a specific time . Integral calculus, or integration, is the opposite of this, allowing you to ‘add up’ a function over time and space. As a simple example, you can integrate the velocity of a particle with respect to time to work out it’s position after a given time has passed. Just the same, we can integrate this expression by adding one to the exponent and then dividing the expression by this new exponent. You may notice that I added a seemingly random on the end of the integrated expression. It’s far from random. Generally speaking you integrate between two limits, and , however what we’ve done here is exclude the limits. This is known as an indefinite integral or antiderivative. We need this because, when we differentiate we lose any terms with . Since we’ve lost these terms and we are essentially just reversing the derivative, we have no knowledge of what these terms were, so to compensate we add in an arbitrary constant, known as the constant of integration . This can take any value, including 0. Calculus is probably the most important thing you should re-familiarise yourself with, but if you want to go the whole nine years there’s plenty more mathematics it’d pay to remember. There are a load of useful identities for trigonometric identities that it would be well worth learning. Another really useful thing to remember are the quotient and product rules, which allow you to easily differentiate the product of two or more derivatives. The same goes for integrating by parts for integral products. This stuff will inevitably come up throughout your degree so it’s well worth familiarising yourself with it and getting plenty of practise. There are loads of other operations that you should learn how to do using matrices, but the determinant is certainly a good start to get you on your way. You can learn about some of these operations and calculations in a future post that I’m preparing. There will be lots and lots of data collection and analysis to do when you get into labs. Your time will also be at a premium. It’s because of this, and the fact that you’ll probably have an entire module on this piece of software, that I recommend you go and pick up Octave. Octave is a completely free, open-source numerical computing environment. In syntax, the language is almost identical to MATLAB; which also inspires much of Octave’s functionality. Excel is all well and good for some applications, but what if you have 10,000 data points? Do you really want Excel to deal with all of those? Also, if you have a dataset and you realise at the last minute you’ve performed some incorrect analysis of it, you could be in serious trouble. By far the easiest way to do data analysis in this environment is by writing Octave scripts that load in data from text files and do the necessary analysis. This is easy to get your head around and it means that if there’s something not quite right, you can simply tweak the code and re-run the script. This can usually completely run data analysis for an entire experiment, that may take hours otherwise, in a matter of seconds. Octave does however have its downsides. It is run on the command line and doesn’t ship with a graphical user interface, which can be daunting for a large number of potential users. As of version 3.8 it’s said to a user interface, but I’ve never witnessed this illusive creature. The documentation is also a little shaky and it can be a pain to install and get working. If you have £30 to lay down you can also get your hands on a basic student copy of MATLAB. Personally, I’d recommend this approach. MATLAB is a sound investment as, unlike Octave, it has an exceedingly good user interface and comes with everything you need to do fairly robust data analysis. It’s also worth picking up the curve fitting and optimisation toolbox so that you can quickly fit curves to experimental data and solve minimising and maximising problems. It’s at this point 4 years ago that I would be asking what the hell LaTeX was. LaTeX is a free, open-source typesetting system that you should probably get familiar with, because there are features of it that will literally save you hours when writing reports and papers. First off there’s no drag and drop, what-you-see-is-what-you-get interface for it like there is with some other popular word processors (*cough* Microsoft Word *cough*). Instead you write mark-up, which tells LaTeX how to compile your document, into a .tex file. You can then compile your tex file into a variety of formats, such as PDF. Initially this approach seems like really annoying. 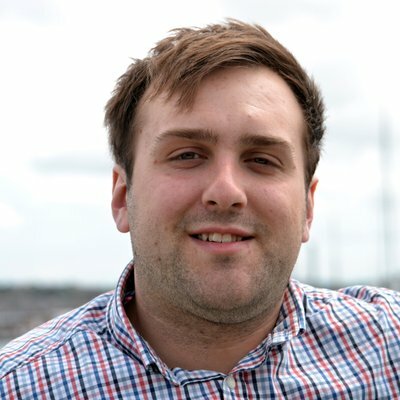 Does the fact that you write mark-up to represent your document mean that you have to style everything and position every element on the page? This is where LaTeX starts to make a lot of sense. Whereas in other word processors the content of your document such as the words and images are tied to the styling of the document, LaTeX allows you to purely concentrate on writing and takes care of the rest for you during compilation. It does this through the use of complex, pre-written macros. The best thing is that if you want to completely change the style of your work it’s really no big deal, you just change the style file that you’re using to compile and the entire document is restyled in as long as it takes to compile. LaTeX has saved me days of work throughout my degree. All of this convenience does come with a rather large trade-off. The learning curve for LaTeX is rather steep when compared to the likes of other, commercially available products. There are some good steps you can follow to get started. First off get yourself a distribution of LaTeX. The easiest way to get this is probably using the TeXLive installer. Not only will this install all you need to get started, but when you inevitably want to use a macro that didn’t ship with TeXLive it’ll download the package that contains it when you compile your document, saving you lots of hassle. You’ll also need a program to write your LaTeX documents. For this I recommend texmaker. This comes with loads of tools to automate some of the more time consuming pieces of markup and a catalogue of symbols that you can click to add in to maths markup. For BibTeX, my program of choice is JabRef. This useful little Java app allows you to browse through and edit a BibTeX database in an easy to use interface. LaTeX is the kind of thing that will take a while to master, but when you do it’ll be an invaluable tool, not only for writing things, but for impressing potential employers with professional looking CVs. A really good place to start for learning LaTeX is the LaTeX book on WikiBooks. This will answer many of your questions when starting out, but when you exceed the wisdom contained within its pages Google is a sure-fire solution to most problems. I’m not going to lie to you. Physics is hard. Doing it full time is even harder. It’s because of this fact I highly recommend that you make use of the time off you have now. Seriously, you’ve earned it. Kick back, pick up a good book or watch that film you’ve meaning to see and have a well deserved rest. Until the next time, thanks for reading.